I took this photo at the V&A Waterfront yesterday. What's significant about it is that, from the direction signs, I learned that the place I'll be visiting next month is 16690 kilometers from home! That's a seriously-long flight folks. 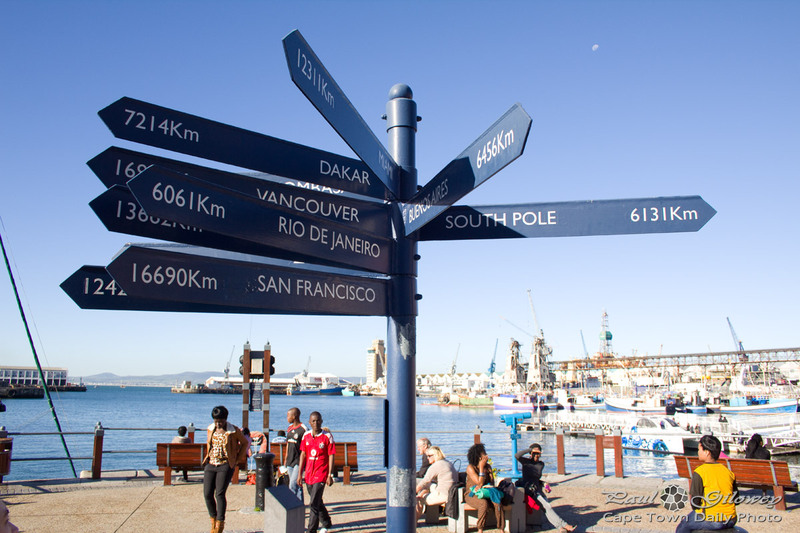 Posted in General and tagged v&a waterfront on Sunday, 29 July, 2012 by Paul. I always liked that sign-post and will probably do something like that in my back yard one day (when I actually have a back yard again). That’s a pretty awesome idea Jonathan! And yes, I will! Did you notice the moon in the background?